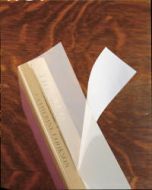 To keep your library running smoothly, librarians know that it’s wise to keep a variety of book repair tapes on hand. 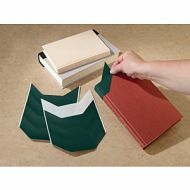 We have all kinds of book tapes that a librarian or book lover needs – from tapes for general repair, affixing loose pages, mending torn pages, and reinforcing book spines to repairing of broken book hinges. 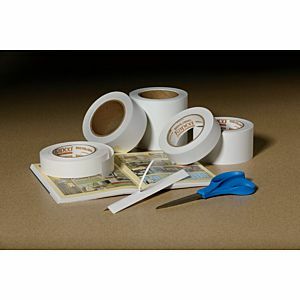 Choosing the right repair tape will save you both time and money. 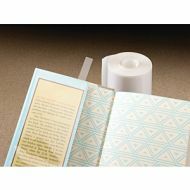 Promatech is your one-stop shop for book tapes, glues, pastes, and more! High quality Acid-free adhesive book tapes is easy to use. 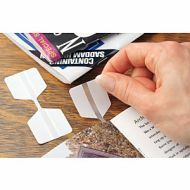 Exclusive Peel' n Place centering strip design makes repairs easier. 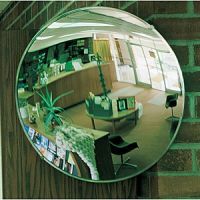 These are the Librarian's Choice products.